Join us on Friday, November 9th for an evening of classic German delicacies and our proverbial German “Gemütlichkeit”. Celebrating Beer Fest (or Oktoberfest) has a long tradition in some parts of Germany. Though normaly we don’t need an excuse to drink beer – why then do we celebrate Beer Fests? Simple: to enjoy good food, have some fun and to indulge in our proverbial German Gemütlichkeit. 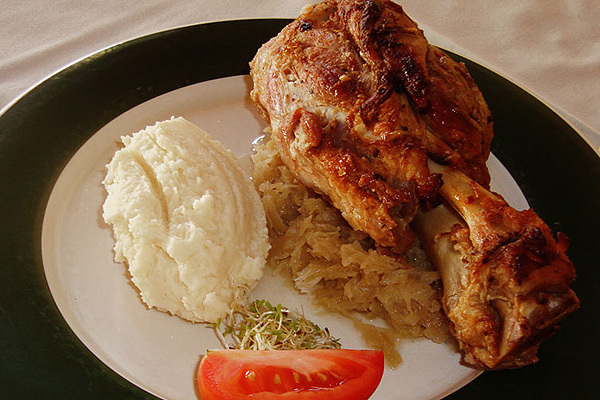 Our Dinner selections consist of hearty German favorites such as soft pretzels, bratwurst, red cabbage, sauerkraut, pork schnitzel, cabbage rolls and spaetzle. We also serve barbecued pork knuckles (should be pre-ordered). Delicious desserts, from Black Forest cake to freshly baked apple strudel, complete any meal at the Black Forest Restaurant. Prices range is according to your meal for entrees between 125 and 250 Mexican Pesos. Your hosts Andrea and Yvonne will serve you in traditional German Dirndls and the steins will be overflowing with ice cold German beer – for non-beer drinkers we also have a full service bar with wines, spirits and non-alcoholic drinks. Our German Beer Fest will take place generally every first Tuesday of the month starting in December. Here are the exact dates, but they will also be announced individual. Say “Prost!” as you enjoy a wonderful celebration filled with food, fun and entertainment!